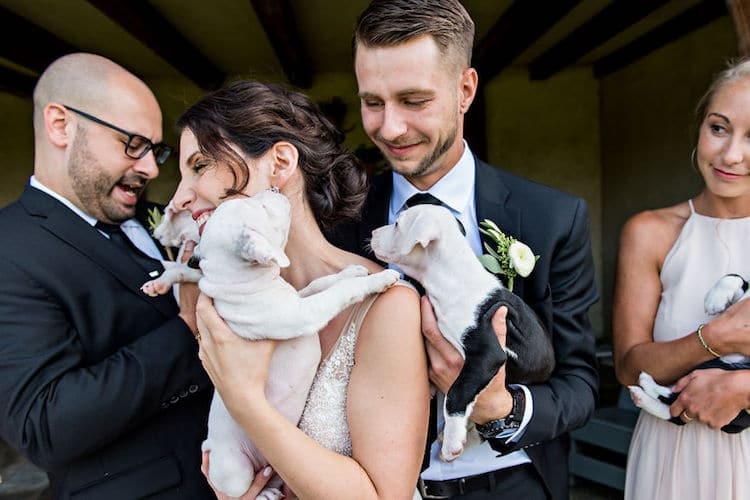 When Becky Mochak and her husband John were planning for their wedding day, they knew that they wanted to include the adorable puppies they foster in their big day as well. 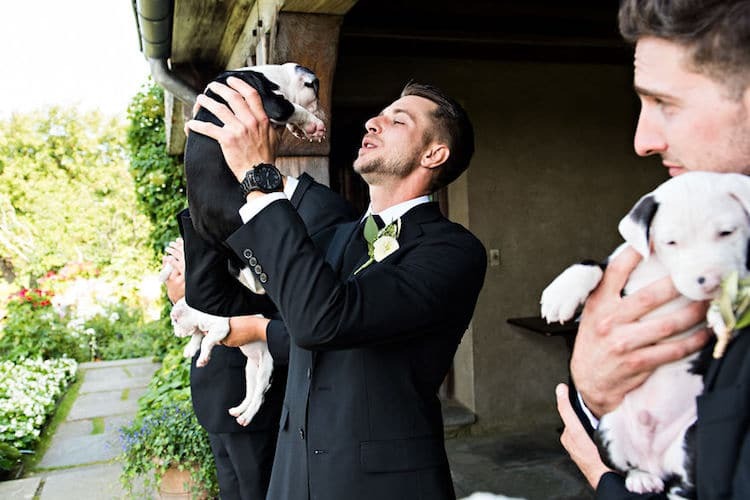 So, it just made sense to the couple to have the puppies in their wedding photos instead of the traditional flower bouquet and the results were incredible! 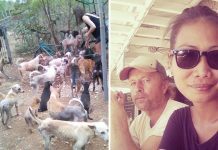 Both Becky and John had previously raised many animals before so when they heard that a local shelter had a litter of puppies that was in need of a new home, the couple did not think much. “We’ve raised baby piglets and cows before so this can’t be much different!” the couple said. 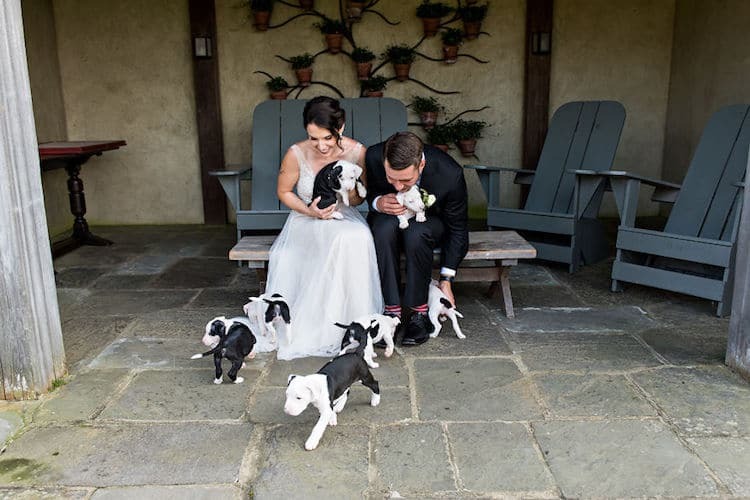 Later, the puppies moved to Becky and John’s house and as they were too young to be left on their own, they mostly spent their time with the couple. 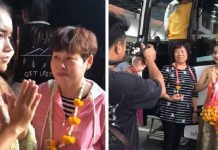 The puppies even accompanied the couple as they were busy planning their wedding errands. 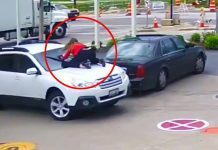 When Becky and John had to travel to Cabelas to get some things for their honeymoon, the cute puppies even joined the road trip! 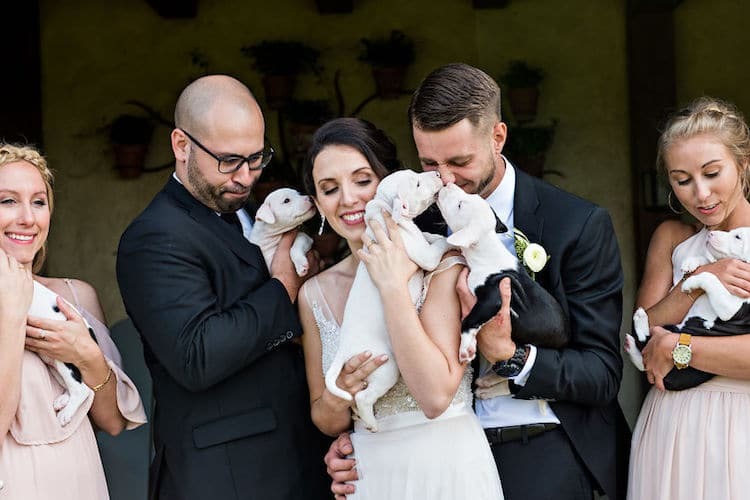 Not long after that, Becky and John adopted three more puppies and suffice it to say, things went quite out of control for the couple sometimes. 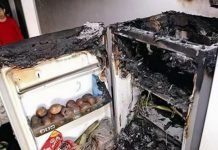 “It was mayhem,” Becky said, referring to the days when they had to shower the puppies a few times a day when the canines started to eat solid food and got all covered by the food during mealtime. When the wedding day arrived, they did not think twice to include the puppies in their wedding as well. Apparently, the puppies made better addition than a flower bouquet! 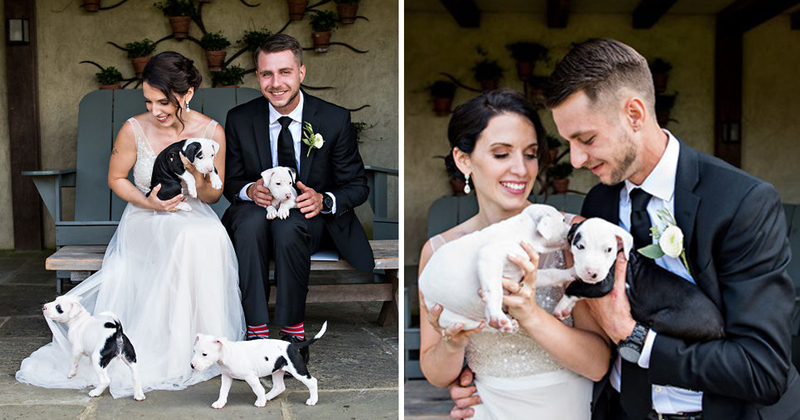 Thankfully, all the puppies now have found better homes shortly after the wedding. 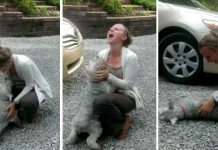 One of the puppies, Mo, now stays with John’s aunt so they still can pay a visit to see him from time to time. 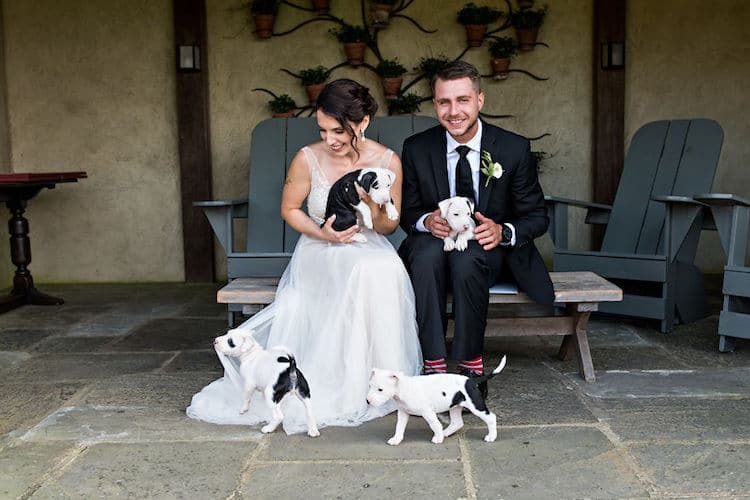 Even though the puppies only stayed with Becky and John just for a brief time, it seems like they will always hold a special place in the couple’s hearts!